The Northern crested newt is a widespread type living from Western France to Southwestern Siberia. The northern boundary of its habitat is defined by habitat in the Southern half of the Scandinavian Peninsula. The southern boundary runs through the South of France, just north of the Alps, there are habitats in Serbia, Northwestern Bulgaria, Mid-Romania, Moldova, Ukraine and the middle course of the big rivers flowing to the Black Sea. 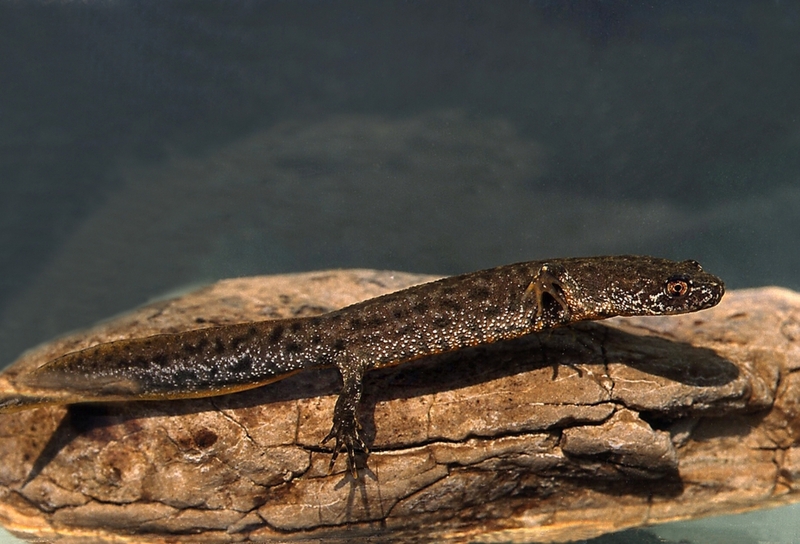 There are three certain habitats of the crested newt in Bulgaria – in the Western Balkan Mountains, in the Vratsa Balkans,with total number of no more than a few hundred species. The altitude of habitats is between 250 and 1,400 m. The type is established in Bulgaria in 2005. The habitats are isolated from those in Serbia and Romania, and are the southernmost in the range of the species. The newt spents its aquatic phase in different-sized ponds, slightly overgrown with underwater vegetation. The terrestrial stage is presumed to be spent in the forests near the natural water reservoirs. The newt usually prefers stagnant waters or waters with weak flow. The mating season of the the Northern crested newt in Bulgaria is not sufficiently studied. In June, the most commonly observed are subadult species in aquatic phase. In other parts of the area, the aquatic phase lasts from February to May. The amphibian lays from 200 to 400 eggs. Adverse effects on the evolution of the Newt come from the industrial pollution, the destruction and the draining of water basins and especially stocking the ponds with predatory fish. The influence of natural factors, such as overgrowing vegetation, decreased water levels and eutrophication are of secondary importance. A positive measure for the conservation of the species is that two of the habitats of the Newt are found within the boundaries of “Vratchanski Balkans” Natural Park.